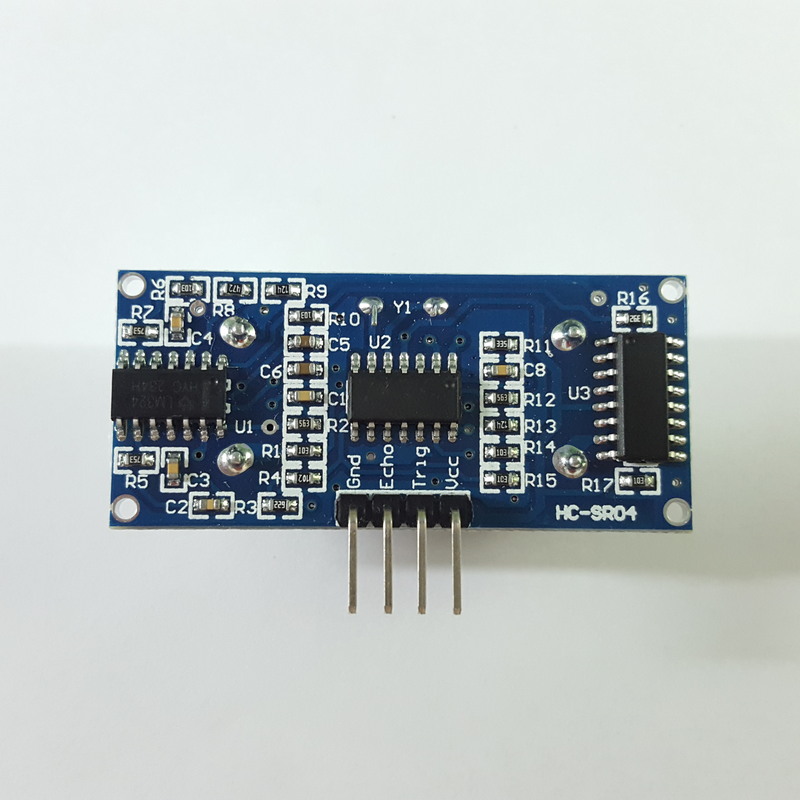 The HC-SR04 Ultrasonic Distance Sensor can measure distances between 2cm and 400cm (4 meters), with up to 3mm accuracy. Easy to use, cheap, and effective! The HC-SR04 Ultrasonic Distance Sensor can measure distances between 2cm and 400cm (4 meters), with up to 3mm accuracy. 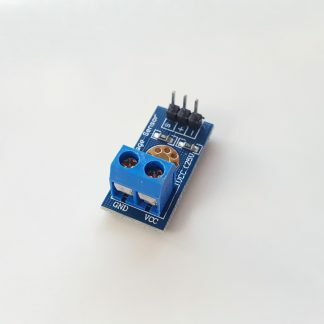 This cheap but accurate sensor lets you build range-sensing projects with ease. 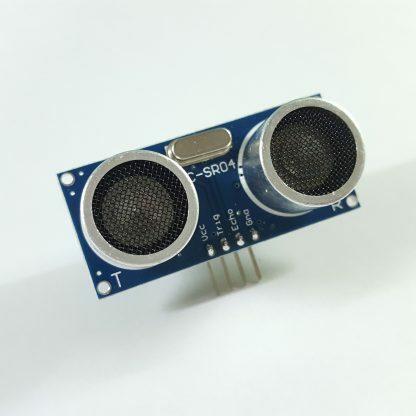 Each sensor “package” already has a transceiver and controller built-in. You only need to worry about 4 pins all-in-all. VCC (Power), Trig (Trigger/Transmit), Echo (Receive), and GND (Ground). 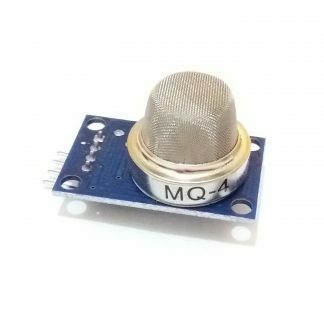 You can use this for 3.3v projects (Raspberry Pi). 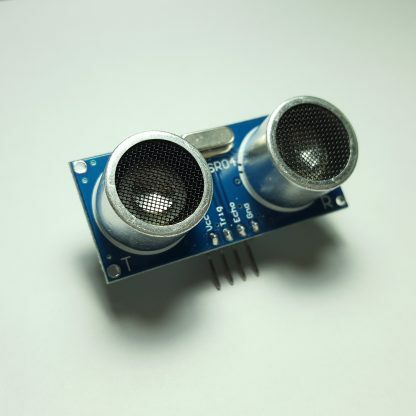 Simply use a 1k or more resistor on Echo pin. 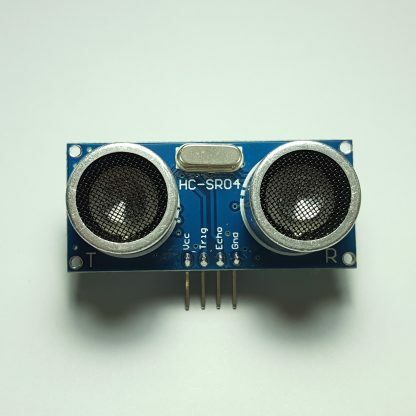 Adjust resistance as necessary, or use a variable resistor.